HootSuite is a social relationship platform for businesses and organizations to collaboratively execute campaigns across social networks such as Twitter, Facebook, LinkedIn and Google+ Pages from one secure, web-based dashboard. Advanced functionality includes tools for audience engagement, team collaboration, account security and comprehensive analytics for end-to-end measurement and reporting. Hootsuite customer references have an aggregate content usefulness score of 4.6/5 based on 1143 user ratings. Hootsuite reviews and testimonials from 134 real customers and users. 90 companies using Hootsuite share their challenges, decisions and results before, during and after implementing Hootsuite software. 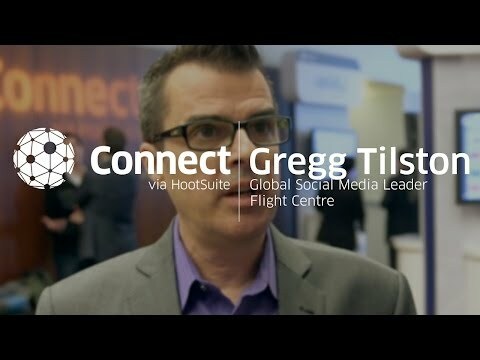 Watch and listen to 17 featured customer videos describing how they use Hootsuite inside their companies. "Great messaging is key to social media, but tracking that success is essential...."
Great messaging is key to social media, but tracking that success is essential. 241 Hootsuite Testimonials & Customer References from real Hootsuite customers. Watch Hootsuite Customer Videos, Testimonials & Customer References to decide if Hootsuite has the right business software or service for your company. See which companies are customers of Hootsuite.